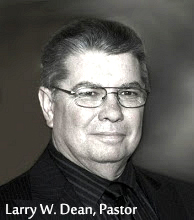 Preacher: Larry W. Dean (21), Wayne Camp (3). Book: 2 Chronicles (1), Amos (1), Matthew (2), Mark (1), Luke (9), John (4), Ephesians (6), Colossians (1). Series: Great Sayings in the Gospels (5), Convocation 2014 (1), Featured (18). Service: Sunday Morning (21), Special event (3). Luke 19:11-28 (Part of the Great Sayings in the Gospels series). Preached by Larry W. Dean on November 30, 2014 (Sunday Morning). Luke 19:1-10 (Part of the Featured series). Preached by Larry W. Dean on November 23, 2014 (Sunday Morning). Luke 19:1-10 (Part of the Great Sayings in the Gospels series). Preached by Larry W. Dean on November 16, 2014 (Sunday Morning). Mark 10:46-52 (Part of the Great Sayings in the Gospels series). Preached by Larry W. Dean on November 9, 2014 (Sunday Morning). Matthew 20:17-28 (Part of the Great Sayings in the Gospels series). Preached by Larry W. Dean on October 26, 2014 (Sunday Morning). 118 Rewards, What Shall We Have? Matthew 19:27-20:16 (Part of the Great Sayings in the Gospels series). Preached by Larry W. Dean on October 19, 2014 (Sunday Morning). John 8:31-45 (Part of the Featured series). Preached by Larry W. Dean on September 28, 2014 (Sunday Morning). Luke 14:25-35 (Part of the Featured series). Preached by Larry W. Dean on June 15, 2014 (Sunday Morning). Luke 14:1-24 (Part of the Featured series). Preached by Larry W. Dean on June 8, 2014 (Sunday Morning). Luke 13:10-21 (Part of the Featured series). Preached by Larry W. Dean on May 25, 2014 (Sunday Morning).